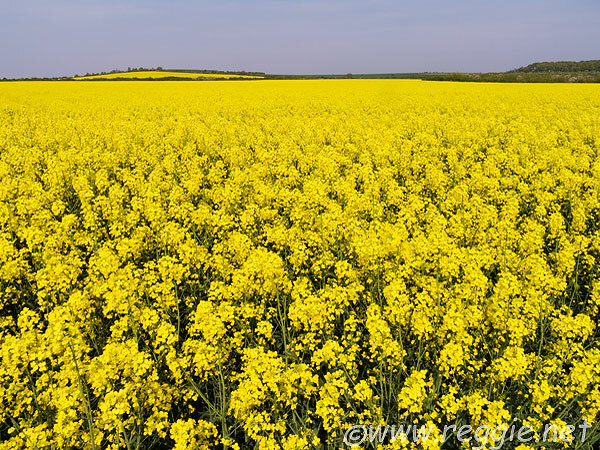 The first scene brings us to a large rapeseed field. Our eyes luxuriate in the saturated colors of tall yellow flowers under a blindingly blue sky. As our mind wonders where such a beautiful place is, a painful sense of foreboding starts to distort the idyllic image. The young woman in the middle of the yellow ocean is panicking and the middle-aged men trying to reach her is anxious. The tension builds up as the camera switches vintage point until the scene goes up in flames — literally. Sidetracked, the first episode of the BBC movies Wallander turned me into a terrified fan of the series. I could not stop watching that and the other two episodes of the first season: the movies held me in their power. But the horror of the deaths and crimes shown in them terrified me. A part of me wanted to flee, while the other part was glued to the couch, totally focused on the screen and the events shown on it. Faceless Killers opens with a brutal, inexplicable murder of a farmer and his wife. As Wallander applies known investigative techniques, based on looking very carefully at the available information, spiced up with a bit of gut feelings and intuition, to find who did it and why, we follow his having to come to terms with his wife's recent decision to leave him. The chaos without is reflected in the chaos within Wallander's life. Of course, a murder is not at the same level as a separation and an estranged daughter, Linda — whose suicide attempt he thwarted some years prior. However, the need to rationalize and act upon them has similarity. In the end, he cannot do anything to recreate the family nucleus, which in practice had ceased to exist for a while, but he can bring the murderers to justice, thereby resetting the scales, so to speak — albeit temporarily. The novel includes more than one personal thread: Wallander's father, a painter, appears and his mental and physical decline requires attention. And Rydberg, Wallander's mentor and most trusted colleague, is diagnosed with cancer. The mood of the novel is definitely somber. And the fact that it starts in early January, in the dead of winter, adds some more darkness. The one steady light is Wallander's determination to solve the crime that haunts him. And he will do that. Often Wallander is so engrossed in his investigations that food and sleep are pushed aside, sometimes with dangerous consequences. One recurrent motif in the novel is his wish to start eating better, a resolution that gets repeatedly postponed to the following day when, supposedly, he will have more time to choose mindfully how to feed himself. But the healthy, nutritious salad in his thoughts never materializes on his plate, so I thought I would make one for him, one that, with a bit of planning, he could prepare for himself at home. The combination of beans and canned tuna (we called it fagioli col tonno) reminds me of childhood summer vacations (vacanze estive), when salads of various kinds rotated on the menu. Its simplicity leaves room for interesting variations, like this one. The baby kale pesto with cashews I described yesterday smoothes the edges of the two bold flavors of beans and albacore. I cook beans whenever I have time and if I don't need them right away, I freeze them. The pesto can also be made in advance and frozen. Particularly useful are the two-tablespoon cubes you can obtain by freezing it in an ice tray. And canned albacore is an item always in my pantry, the kind I discovered some years ago: troll caught and preserved in its own juices, flavorful, low in mercury and without added ingredients besides salt. Once you have the elements of the salad, combining them together takes little time and the result is satisfying and nourishing, just what Kurt Wallander and we all need. See the post baby kale pesto with cashews for the recipe. Drain the beans but leave them a bit moist. Open the can, empty it in a bowl, and with a fork flake the albacore to incorporate its juices. Add kale pesto and mix thoroughly to combine the ingredients. Serve (at room temperature). To my palate, this salad does not need additional salt an neither does it need olive oil, since the albacore provides its oil. Besides choosing healthier dishes, hopefully Wallander will learn to enjoy the food, instead of just stuffing himself, which is what he does when eating on the run. When it comes to his relation with food, he can learn from Montalbano. This is my second contribution to the 18th edition of Novel Food, the literary/culinary event that Lisa of Champaign Taste and I started some time ago and that I continue to host. Finally, this is my contribution to MLLA #57, the current edition of the popular, legume-centered event created by Susan, The Well-Seasoned Cook, now organized by Lisa of Lisa's Kitchen, and hosted this month by PJ of Seduce Your Tastebuds. or launch the insalata di fagioli e tonno audio file [mp3].